Transform your kitchen and save thousands! 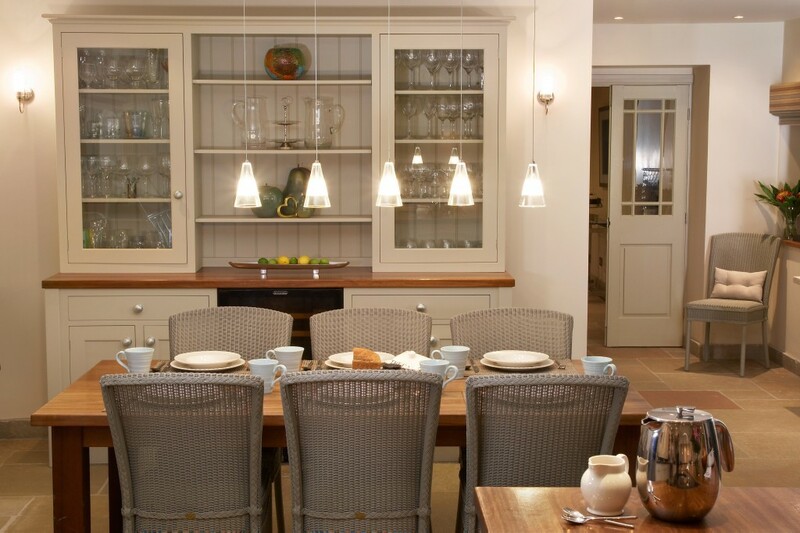 Home » Blog » Transform your kitchen and save thousands! 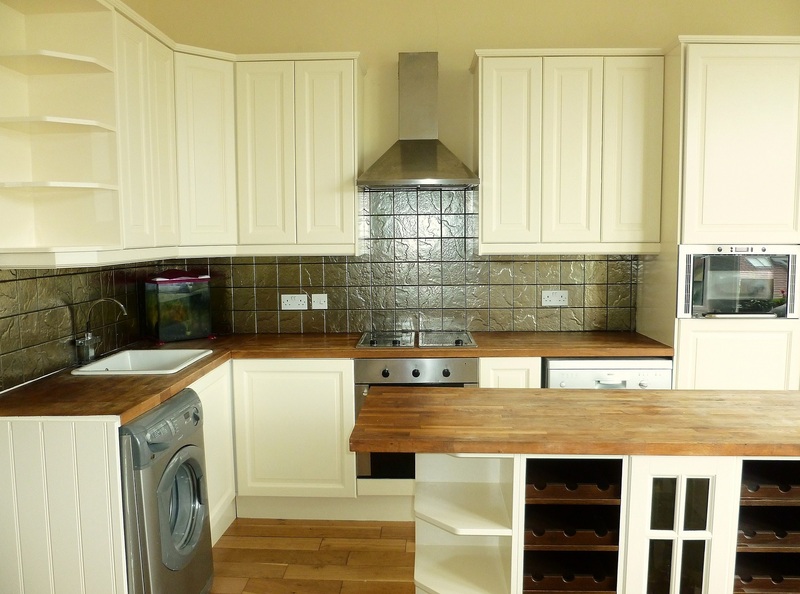 Tired of your old kitchen units? 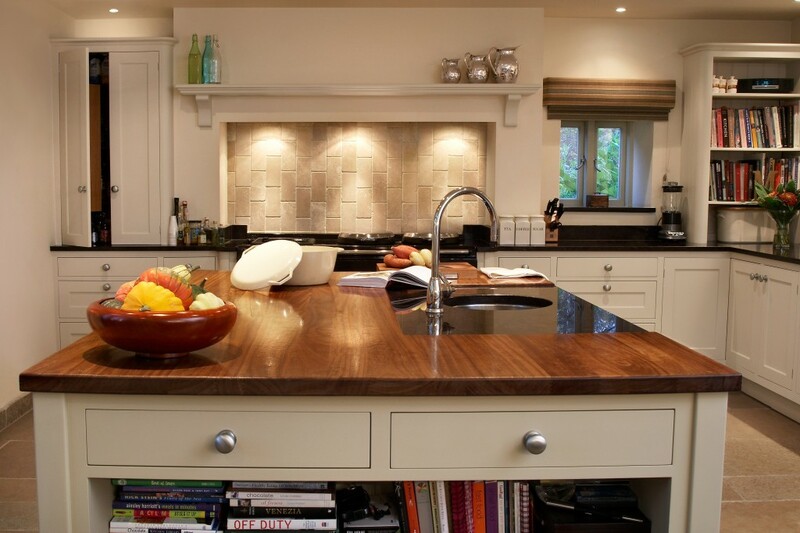 Want a kitchen that’s lighter and brighter? 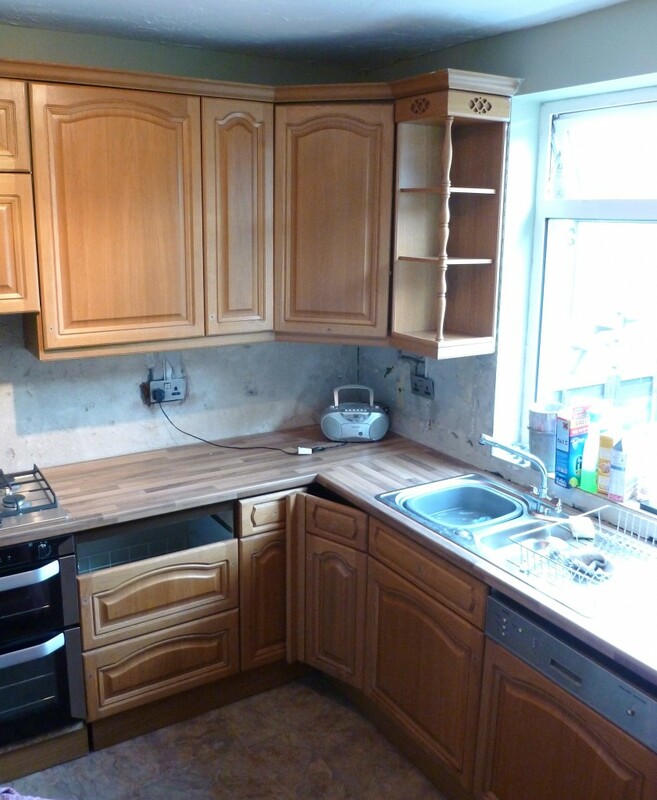 To replace a kitchen can be an extremely costly and disruptive process. 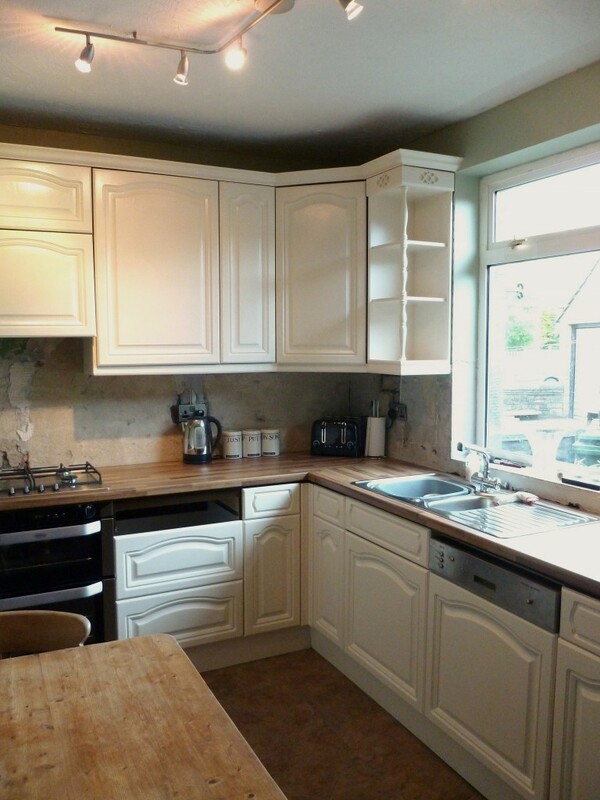 But having your kitchen hand painted can breathe new life into your tired and dated kitchen for a fraction of the cost. 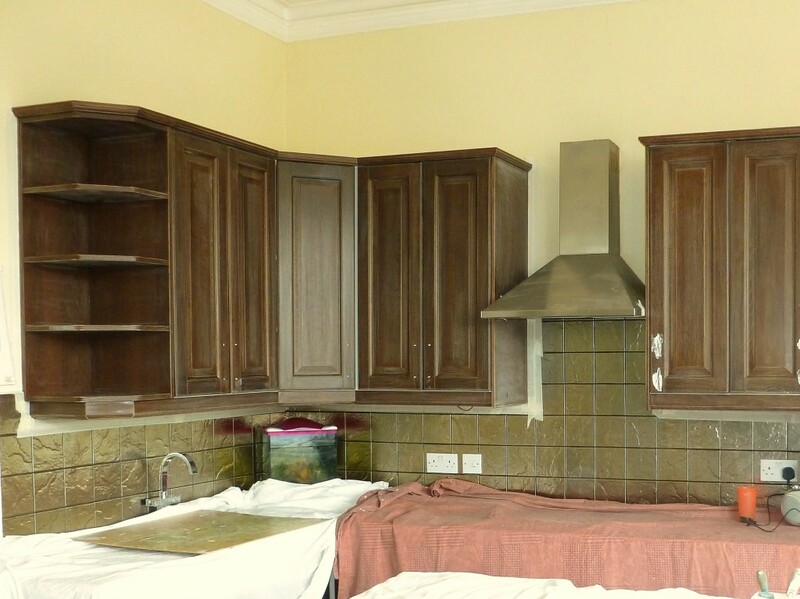 Whether your kitchen is laminate, waxed, varnished or pre-painted, I can prepare and paint nearly all surfaces and paint them with a top quality finish that is highly durable and will last many years. 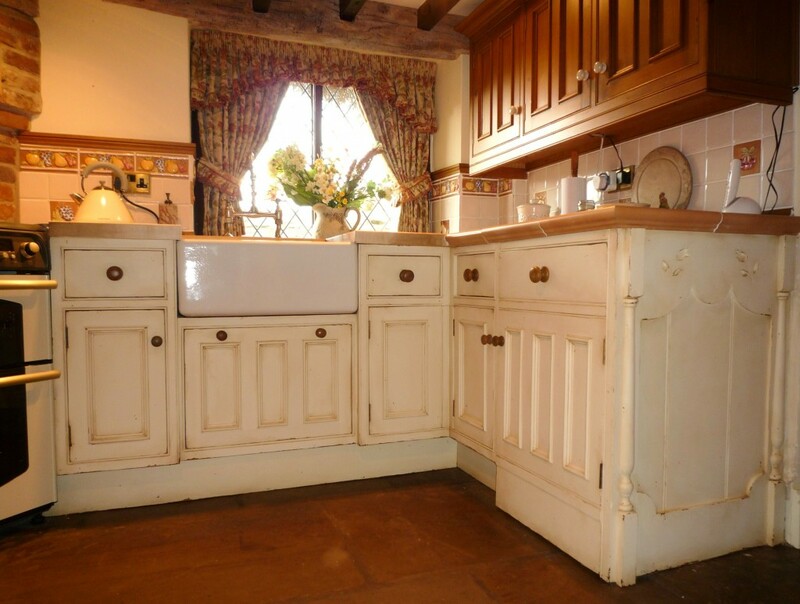 Hand painting an exisiting oak or pine kitchen can regularly save clients an average of at least £7 – 10,000 on the cost of replacing it with a new kitchen – a small lacquered or laminated oak or pine wooden kitchen usually only costs around £1000 to prepare, prime and paint. That’s quite a saving! 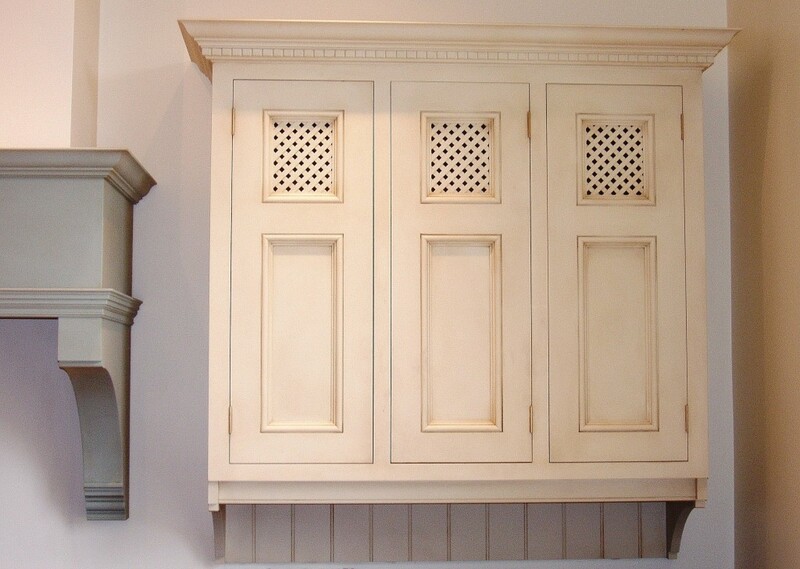 I began each project by first thoroughly cleaning all the units before sanding every inch of the doors thoroughly to create the perfect key for painting. 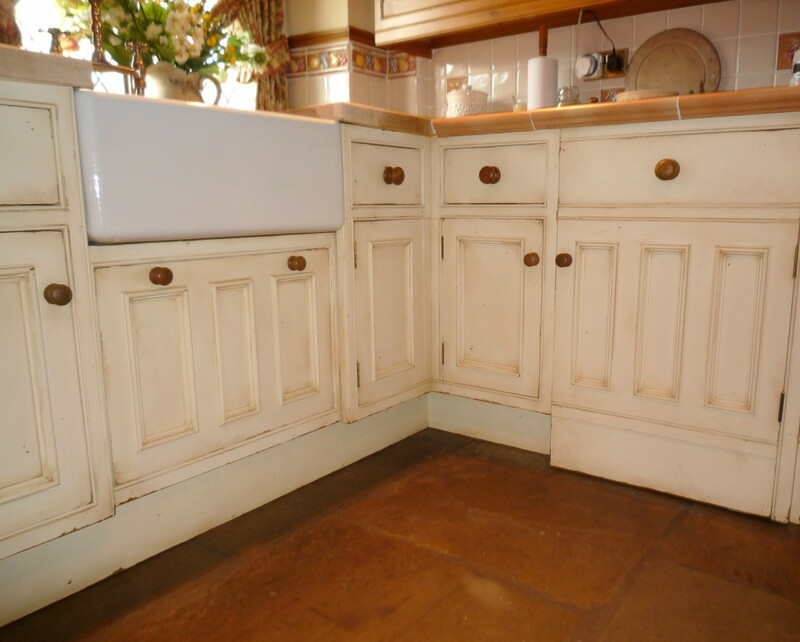 Once cleaned and sanded I then masked off the worktops, the appliances, wall edges, floor etc prior to priming. I apply 1-2 coats of high adhesion specialist primer, fill any gaps or holes, gave it a light sand and then clean up ready for the top coats. For these projects I applied three coats of oil eggshell, lightly sanding between coast. The eggshell is applied using a mixture of artist bruhses and high density foam rollers to create a finish that is durable and even with no brush marks. 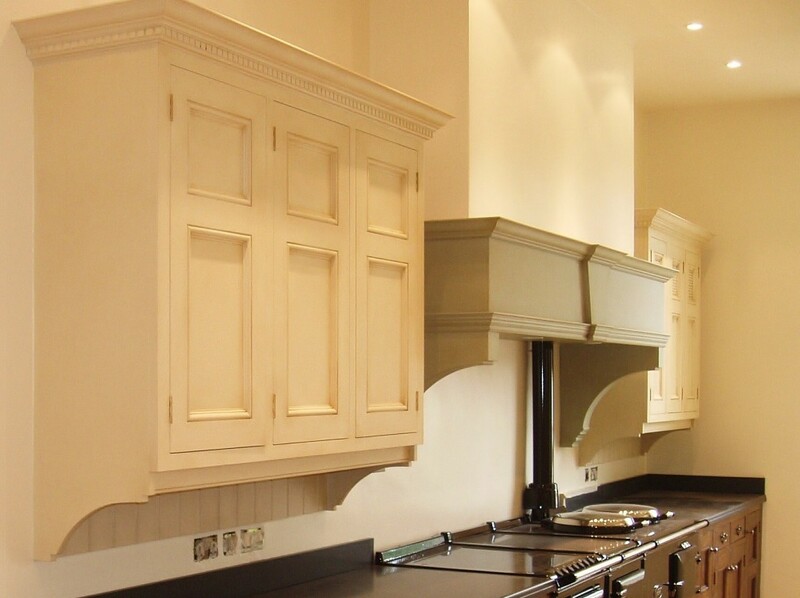 Whether it’s a complete transformation of your wooden kitchen, the painting of a new kitchen or a general re-paint, I can offer you quality painting in an array of finishes. painted please call Lee on 07808 989 856 or contact him by e-mail.